​Growing up on my family farm as the son of a timber-framer gave me endless opportunities to use my hands and learn about wood. I was born at home in the first log cabin my father constructed and grew up smelling its old cedar logs and playing the little helper on the job site. When I was 12 years old, my aunt and uncle gave me a book about how Native Americans constructed their bows and arrows and it quickly led to my boyhood obsession with the art. By the time that I was 14 years old I had carved and used (and broken) probably about 20 bows made out of various kinds of available wood and made numerous other arrows that could have easily been mistaken for museum relics. I think that carving bows and bending arrows straight cultivated my fascination with wood more than anything else I could have tried before or since. After hours of making a bow and getting everything "perfect" came the time to string it up. The anticipation and stress over the level of success my work had rendered was comparable to that experienced when stringing up a new guitar for the first time. Like guitars, making bows well requires an intimate knowledge and intuition about the physical properties of different woods. I like to think those lessons are a part of every guitar made in my shop. Music had always been a part of my family and my Julliard trained grandmother imparted her talents to my older sister who played the piano in my living room my whole childhood. I didn't become interested in playing music until listening to Jimi Hendrix my sophomore year of high school. I continued this interest in blues and rock guitar until I was 17 and sentimentality struck me. It came in the shape of a German exchange student with pretty brown eyes. Then my grandmother gave me a tape of Liona Boyd - the one where she is wearing a short skirt and sitting on a white horse. I was hooked. 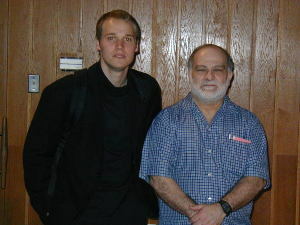 I went on to receive a Bachelor's in Guitar Performance from Shenandoah Conservatory where I studied with Glenn Caluda, a teacher who is responsible for maturing many students' love for the classical guitar. Continuing to cultivate my abilities as a guitarist and performer are a crucial ingredient in developing the sound and response of my instruments. My first connection to guitar making was my sixth grade teacher, Jean Gallagher. She is the wife of J.W. 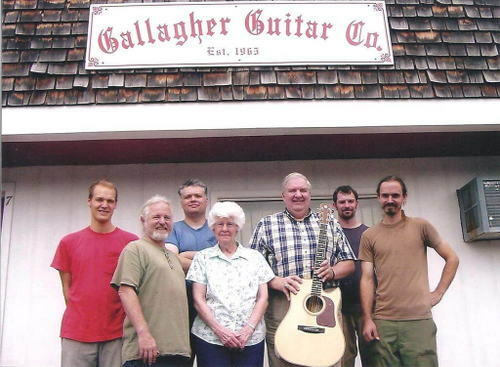 Gallagher's son, Don, who continues his fathers tradition of making some of the finest, in demand, steel string acoustic guitars in the world. After my first semester studying at Shenandoah Conservatory I asked Don for a job in the shop. I think that my father's reputation as a woodworker is what landed me the job, but I think I did well, because he didn't seem to hesitate in rehiring me a couple years after that when I had graduated. I can't thank Don enough for allowing this experience. While there, I worked with some of the most talented craftsmen I have ever known. Most notably, Daren Gallman, who taught me to construct guitar bodies and instilled an ethic of craftsmanship in me which I couldn't do without. After working at Gallagher Guitar Co. for about two and a half years, I couldn't resist setting up my own shop where I could begin what has become my life's passion. 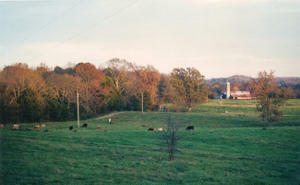 I currently live near Alpine TN, and I invite you to give me a call and stop by the shop or meet for lunch if you are in the area. I can't guarantee that I will have a newly competed guitar sitting around to play, but I can guarantee warm welcome and good conversation.